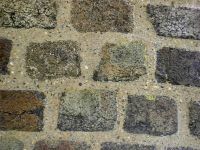 Heritage Cornwall Ltd have been at the leading edge of conservation and restoration in Cornwall for many years. 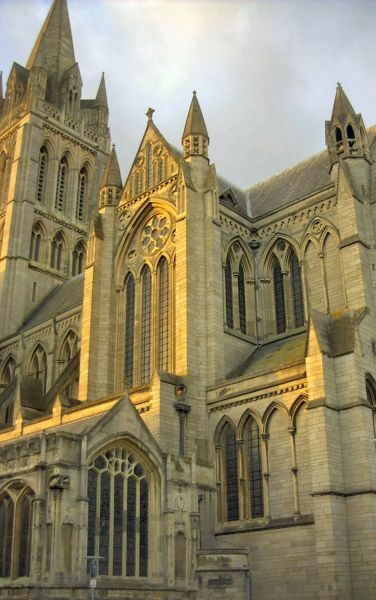 From basic masonry repairs on churches and other 'listed' buildings, we have grown into one of the county's most respected and experienced contractors. 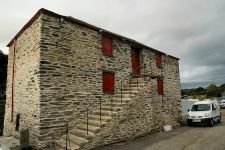 Heritage Cornwall Ltd have achieved this reputation as a result of dedicated application by everyone within the team, working alongside Architects and Surveyors throughout the south west and beyond. What can Heritage Cornwall Ltd do for You ?? Heritage Cornwall Ltd undertake works from the smallest Holy Well to Truro Cathedral; crumbling walls to Grade 1 houses or monuments; cottages to Cornish mine buildings; and are committed to sustaining and maintaining our 'built' heritage, no matter how small or how large. Given recent trading conditions, the cost of fuel and the consequent rise in cost of raw materials and labour, we have become more pragmatic in our approach to work. We will not allow ourselves to be deflected from our determination to produce quality results for our endeavours. Being based centrally in Cornwall affords us the opportunity to travel east or west to tackle all manner of projects. Exeter is only just over an hour away in one direction and Penzance similarly, in the other direction. We have worked on projects in Ireland, notably the south west, on Cornish Copper mine ruins as well as a redundant church near Waterford in the south east. Our mainstay area for work seems to fluctuate in cycles; one minute in the Tintagel area, the next near Tavistock. However, we rarely dismiss the opportunity to work on important projects for the sake of distance. As always with us, it is the building that strikes the most important chord in our philosophy. We can’t always promise to help out but, if you are looking towards the start of something big (or small) and feel unsure, then contact us for an opinion! It could save you a lot of time and angst.